I’ve never been a fan of scalloped potatoes which I have always found perplexing because in theory I should love them, there is just something about them, the potatoes are never cooked enough, the creamy is too creamy, the cheese too cheesy. I can’t even pin point what it is I don’t like, I just don’t like them. 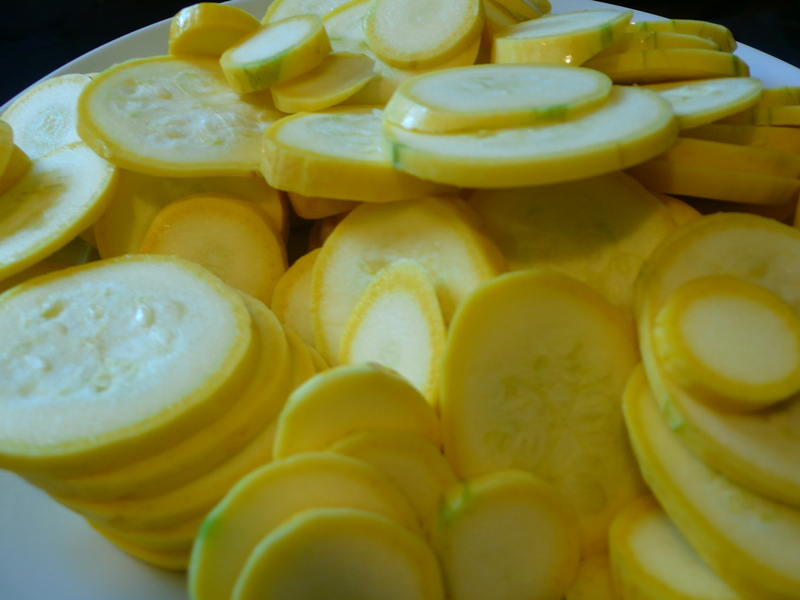 On a quest to use summer squash in a new way I stumbled upon this recipe on smitten kitchen, I hesitated at first thinking that it may be a bit like scalloped potatoes, and maybe it was, but it turned out to be something that I would eat again and again and again. 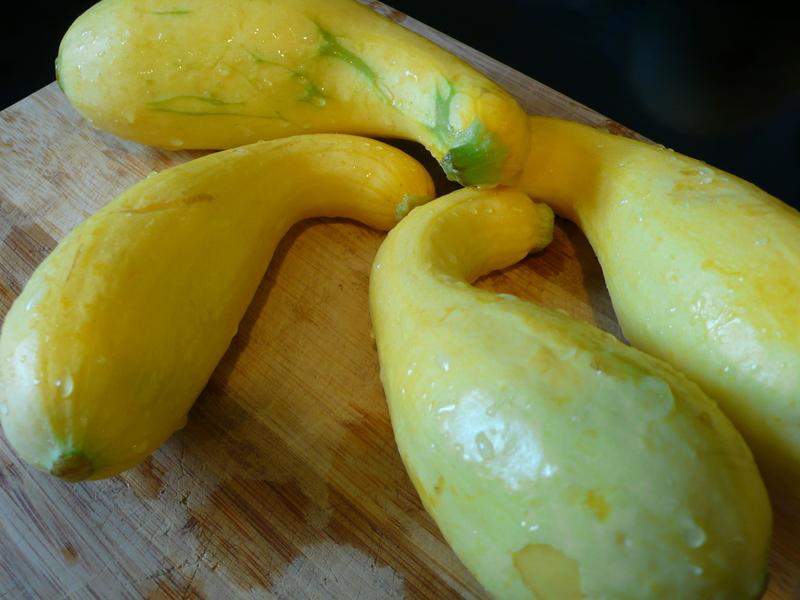 I was so happy to have found a recipe for yellow squash that did not involve a casserole dish or bacon, for some reason, as a person who grew up in the South, the only use for it has been as a Southern side dish. 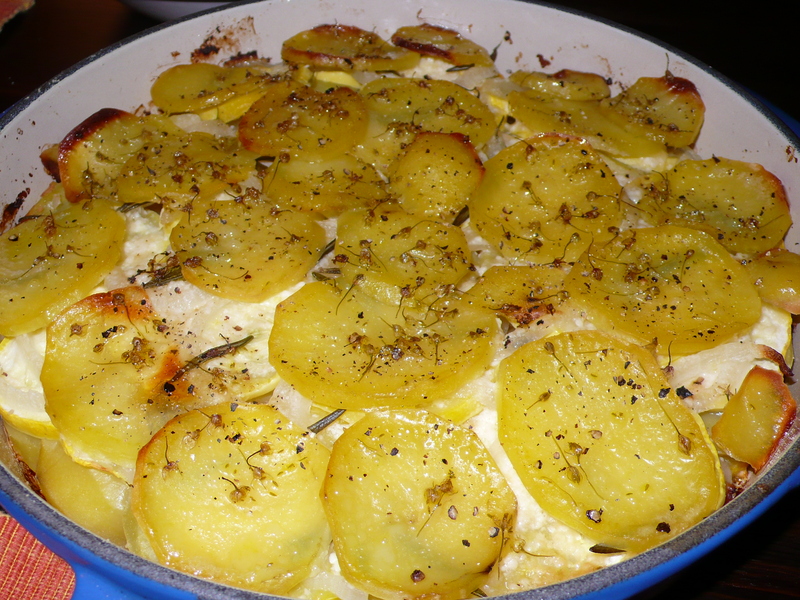 It is too watery for pasta and many other types of dishes, but the water works well in this dish, steaming the potatoes and melting all of the flavors together. I have almost completely changed this recipe from the original, using ingredients that I had at hand, I also only made one torte with a 10-inch pan as opposed to the suggested two with 8-inch pans, but I used the same amount of ingredients, creating a vegetarian curry with what was leftover. Preheat oven to 375°F. Grease two 8-inch-diameter cake pans with olive oil. (I used 1 10-inch pan, but had a lot of potatoes, squash and onions leftover). Layer 1/6 of potatoes in concentric circles in bottom of 1 prepared pan, overlapping slightly. 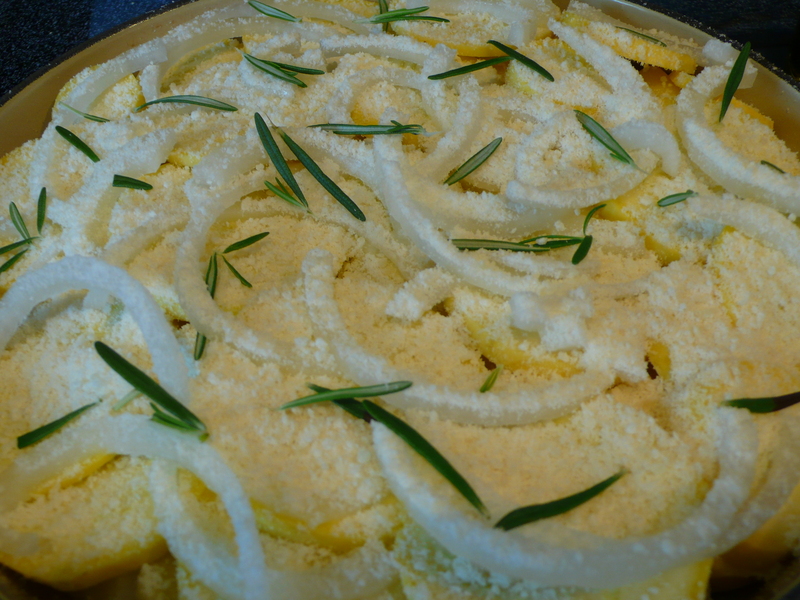 Layer 1/4 of squash in concentric circles atop potatoes. Drizzle with 1 teaspoon oil. Sprinkle with 1/6 of cheese. 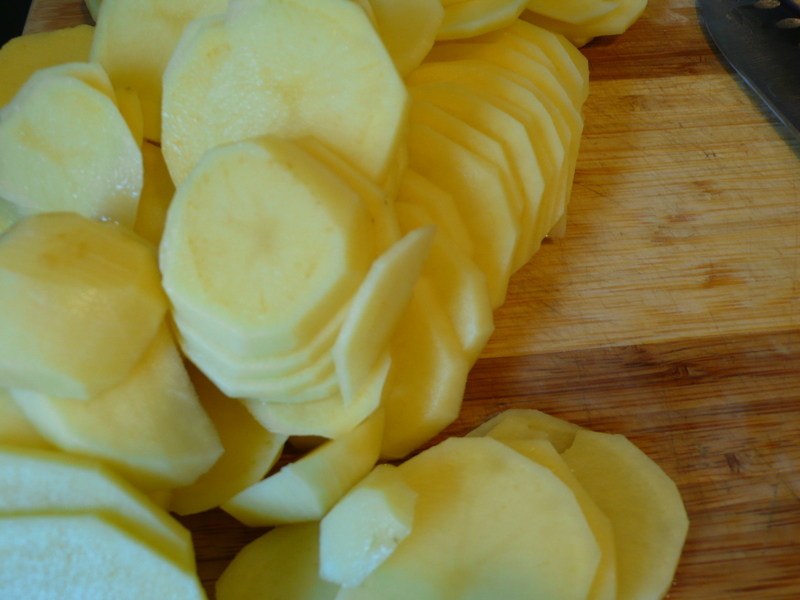 Repeat with 1/6 of potatoes, then 1/4 of squash and 1 teaspoon oil. Sprinkle with 1/6 of cheese. 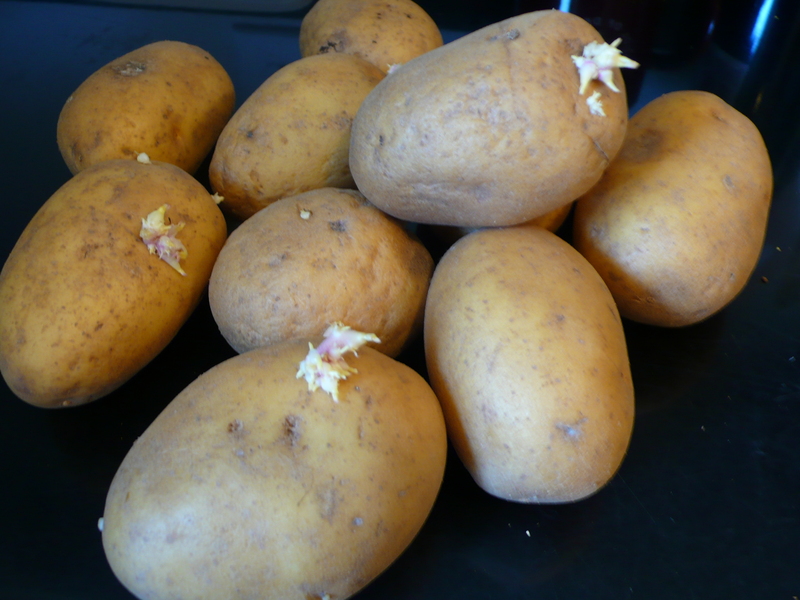 Top with 1/6 of potatoes. Drizzle with 1 teaspoon oil. Sprinkle with 1/6 of cheese mixture and press gently to flatten. 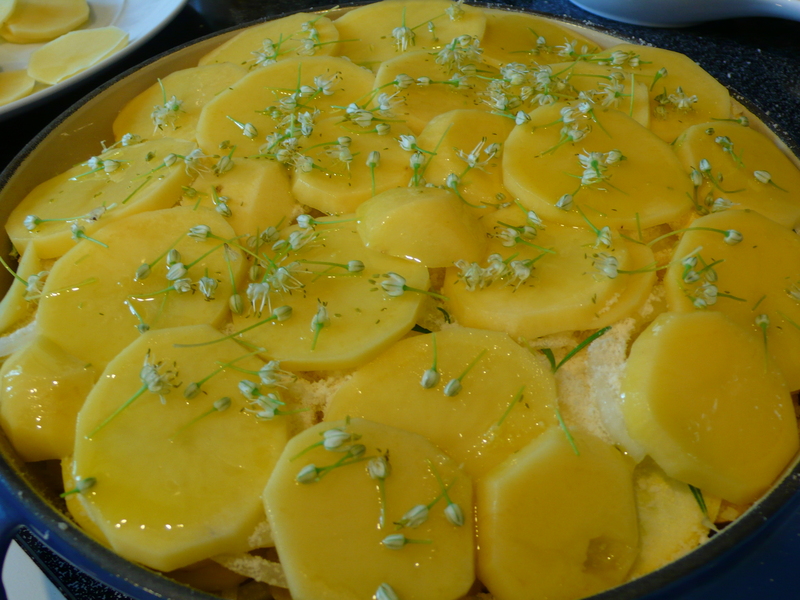 Repeat procedure with second cake pan and remaining potatoes, squash, oil, and cheese mixture. Cut each torte into wedges and serve. ~ by italicious on June 9, 2010.